CINCINNATI (TDB) -- This has all the hallmarks of a Chicago story. Federal Election Commission documents have surfaced in the past 48 hours that show the House Democrats' fundraising arm spent $12,000 on a "media production" aimed at helping Jean Schmidt. The money went to AKP Message & Media, at 730 North Franklin Street, Suite 404, in Chicago. That is the home of the political consulting firm founded by David Axelrod, who is President Obama's close adviser and strategist. For unknown reasons, the Democratic Congressional Campaign Committee filed a report indicating it imade an independent expenditure in support of Republican Schmidt on Sept. 8, 2005. At the time, Schmidt was running against Paul Hackett, a Marine veteran of the Iraq War. The Hackett-Schmidt showdown was a special election to fill the Cincinnati-area congressional seat that covers SW Ohio along the Ohio River. Rob Portman -- now a U.S. Senator from Ohio -- was leaving Congress to join the Bush Administration. "At AKPD, we’re proud of our history. And we think when you get to know a little about where we have been, you’ll have a better sense of the unique strategy, discipline and creativity we bring to our work. 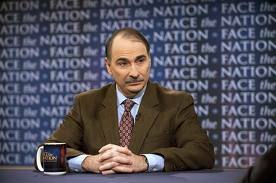 David Axelrod began his career as a journalist, and before long he was the Chicago Tribune’s political editor and columnist, the youngest person in the paper’s history to hold those positions. But Axelrod’s passion was politics. He left the Trib and managed Paul Simon’s upset victory for the U.S. Senate in 1984. Following that race he founded Axelrod and Associates, which later became AKPD Message and Media. He launched the firm with a mission—to provide superior strategic and communications advice and advertising for Democratic candidates and causes, and to do so with a sense of purpose and passion for ideals that underlie Democratic campaigns." "Mr. Austin has worked on behalf of President Jimmy Carter, Senator Gary Hart, Senator Paul Tsongas, Senator Carol Moseley Braun, Senator Paul Wellstone, Senator Sherrod Brown, Senator John Glenn, Governor Richard Celeste, Governor Jim Guy Tucker, Reverend Jesse Jackson, Mayor Jane Campbell, Obama for President and numerous members of Congress. "Mr. Austin was a member of the international delegation who witnessed the Marcos/Aquino election in the Philippines, the Pinochet Plebiscite in Chile and was an advisor to the SDLP in Northern Ireland when they beat Gerry Adams for the MP seat in Belfast. In 2006, he helped the MSZP retain enough seats in Parliament to remain in power in Hungary. "In 1988, Mr. Austin was Jesse Jackson’s National Campaign Manager and in 1992 he served as a Senior Political Advisor to Senator Paul Tsongas' campaign for President. Mr. Austin's governmental clients have included The Greater Cleveland Growth Association, Cuyahoga County Regional Transit Authority, and the President of the Cook County Board of Commissioners, The Cleveland School Board, The Columbus School Board, the State of Arkansas Highway Department and the State of Virginia Department of Health." The Daily Bellwether has been making calls today asking why Democratic money was spent in support of Schmidt's 2005 campaign -- the year she won the OH-02 seat. Perhaps there is a mistake and the money spent in opposition to Schmidt -- but the records don't say that. So far, there have been no answers. Hackett's office said he was out of town. If you want to look at the records online at the FEC website, go to the Democratic Congressiional Campaign Committee reports filed in September and October 2005. The expenditure for Axelrod's firm is on page 1,003 of the 1,004 page document that covers the period September 1-30 2005. I have never been part of an independent expenditure to help Jean Schmidt--now or ever. I am not now nor have ever been an employee of Winning Directions. They listed me as a consultant on their website. Please make your readers aware of this information. Stan Chesley is one of Jean Schmidt's donors. He was a big Bill and Hill Clinton backer. Could this possibly have been a mistake by the DCCC and they put incorrect information on the FEC filing? This is one of the most insane political occurrences I have heard of. The Pelosi/Emmanuel House Democratic leadership giving financial support to Mean Jean Schmidt is really impossible to believe. The party wanted to cut Hackett off at the pass. They worried would be a superstar, thus closing doors for Ted Strickland and Sherrod Brown. It agree it has all "the hallmarks of a Chicago story." Chris Finney and COAST must be behind the leaking of these documents. They have no love for Mean Jean and have been trying to pry her out of the House for years. I had a hard time reading the picture/papers with this. How do I find them online someplace? The documents weren't "leaked" moron. They're public record available to anyone who wants to look at them. I'll give you a pass though since complying with public records law is something Laure Quinliven would know nothing about. Bill -- Nice report. If you look closer at one of the reports, they were spending money in support of Schmidt in the special primary, not the special general. Talk about Democrats raiding the GOP. The Schmidt v. Hackett election was on August 2, 2005, and as your previous commenter pointed out, the expenditures may relate to the Special Primary. Either way, there wasn't a campaign going on "at the time" of the noted expenditures. What you found may be a previously unreported element building on this item from days before that election: "Anti-tax group, liberal PAC airing 'don't vote' message." COAST was using liberal PAC money to tell people not to vote at all, on the theory that a more conservative Republican running against an incumbent Hackett would win the seat back in 2006. As things turned out with the Dems taking control of Congress in 2006 and Steve Chabot barely surviving John Cranley's challenge, it doesn't look like it would have worked out as intended if COAST had gotten its wish.